Choosing to undergo gastric bypass surgery is a life-changing decision. And no life-changing decision comes without adjustment and a little sacrifice. That being said, if you struggle with obesity, this form of surgery can truly improve your quality of life. Not to mention improving a range of diseases associated with obesity. If you're on the verge of making this life-changing decision and wondering what to expect after gastric bypass surgery, read it all in this blog. Naturally, you're probably looking forward to weight loss the most after gastric bypass surgery. But the benefits are far-reaching, way beyond just weight loss. In fact, most people who undergo gastric bypass and lap band surgery report an increased quality of life and reduction in disease related to obesity. Obesity-related conditions such as type 2 diabetes, hypertension, heart disease, high cholesterol and sleep apnea are said to improve. However, with all these benefits one must prepare themselves for a little sacrifice too. Recovery from gastric bypass surgery is relatively simple, but it takes commitment. For the most part, this is dependent on what your original weight was before your gastric bypass surgery. Although gastric bypass surgery is popular, gastric sleeve surgery is a little less invasive and offers the loss of approximately 40% body weight. Gastric bypass surgery is a permanent procedure that cannot be reversed. So on average most patients lose up to 60% body weight. However, this depends on your rate of activity and diet post-surgery. How Long is Recovery Post-Surgery? Although gastric bypass surgery is one of the more invasive weight-loss procedures, recovery time is moderate. The surgery itself is performed laparoscopically, meaning a surgeon will only make very small incisions. This makes for a shorter, less complicated recovery. Typically, most patients are required to recover in hospital for 2-3 days post-surgery. It can take 3-5 weeks to get back to a normal, everyday routine. If an open form of surgery is to be performed using a much larger incision, recovery will naturally take longer. Most patients present with no serious side effects post gastric bypass surgery. Speak to your doctor during your check-up who can generally prescribe you with relief. Try and avoid granular fiber in your diet. This can lead to nausea, vomiting, and weakness after eating a high-sugar meal. Avoid soda or fruit juices in the first few weeks of recovery. This is fairly common after your body sheds a large amount of weight. Gallstones can cause nausea, vomiting and stomach pain. Only 15-25% of patients need to have their gallbladder removed post-surgery. Your surgical wounds are at risk of becoming infected if not cared for correctly. You may experience pain, warmth and high fever and will be prescribed antibiotics. If you present with any of these more serious side-effects, it's important to get in touch with your doctor immediately or visit an emergency room. Look out for a stool which is either black or reddish brown in color. Consult with your doctor immediately. While extremely rare, blood clots can form in the lungs. They are life-threatening but can be prevented with blood-thinning drugs and frequent exercise. Also extremely rare, this happens when the new connections made after surgery are not healed correctly. This usually occurs within 5-days post-surgery with symptoms such as abdominal pain and nausea. The reality of gastric bypass surgery is that it completely changes the way your body reacts and handles the food you eat. Post-surgery, your body may find it difficult to process certain forms of nutrients such as iron, vitamin B12, folate, calcium, and vitamin D.
But this doesn't mean that you have to carry on living a life without these important nutrients! It just means you may need to begin supplementing your diet with vitamins which have received the seal-of-approval from your doctor. You will also need to adjust the size and frequency of your meals. Gastric bypass surgery leaves you with a small stomach, therefore meal adjustments will need to be made. Many people who struggle with obesity fall into the habit of binge eating on larger meals. This is a habit which needs to be ditched as a smaller stomach will not tolerate it. Commitment to smaller portion sizes at a more frequent rate is important, as well as a healthy, balanced intake of nutrients. Along with a commitment to good nutrition is a commitment to exercise. This may be gradual in the beginning, but maintaining a regular exercise routine is just as important. Many weight-loss surgery centers offer nutrition and exercise programs to help patients on their new journey to a healthier lifestyle post-surgery. 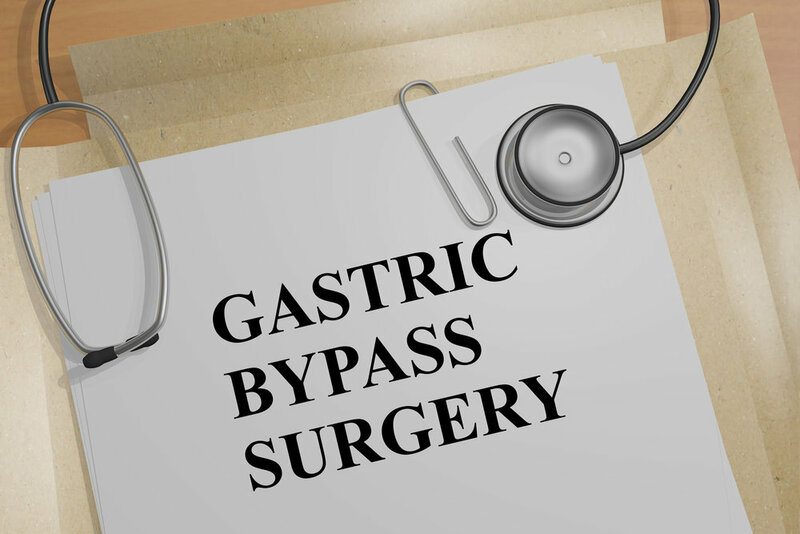 After gastric bypass surgery will be required to undergo a few important check-ups with both your surgeon and dieticians. This is an important check-up as you are still in recovery period which needs to be monitored. Your doctor will check your condition and you will also meet with a dietician to discuss your nutrition. From here you will usually progress from a liquid to solid diet as recommended by your dietician. Medications will also be adjusted as necessary. During this check-up, you will be evaluated by your doctor and any other medical specialists you will assess previous obesity-related conditions. These specialists will evaluate how these conditions have improved and adjust chronic medications as needed. During this visit, you can also expect to meet with your dietician to advance your transition back to regular foods. Finally, a separate appointment should be included with a clinical psychologist to assess your psychological adjustment to the surgery. During this check-up, your doctor will review a set of tests you need to undergo a few days prior to the appointment. This is simply to monitor your progress, weight-loss, and nutrition. Medications will also be adjusted as necessary. If needed, your dietician will make adjustments to your diet. Going forward from here, you will need to schedule a yearly check-up with your doctor to evaluate your overall health. At Central Ohio Bariatrics and Fairfield Medical Center, we offer a comprehensive approach to weight-loss surgery. If you're wondering what to expect after gastric bypass surgery, our team of professionals is here to walk you through every step of the way. Book a consult with Dr. Timothy Custer, our resident bariatric expert on life-changing weight loss surgery today.